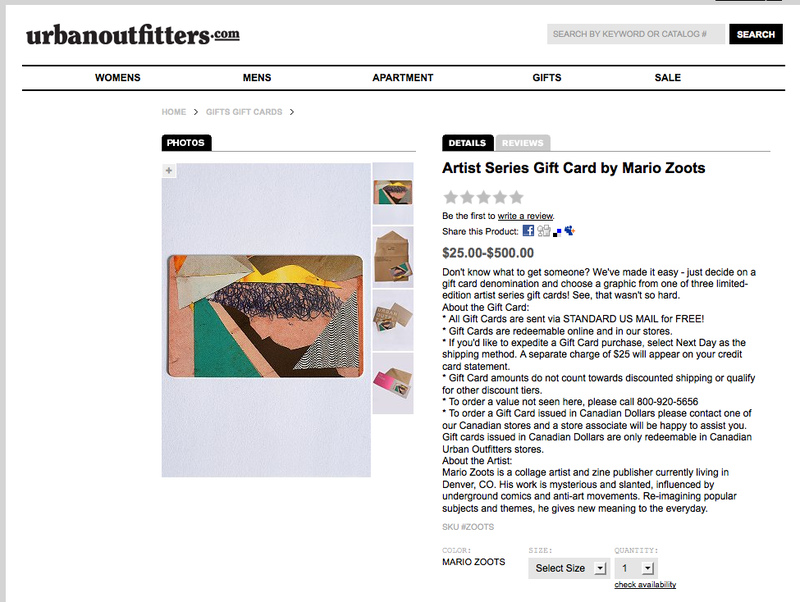 I was asked to create a piece of work for Urban Outfitters Artist Series Gift Card. I worked a collage that is mostly found paper that i cut into organic/ geometric shapes. Also Mario Hugo and Andreas Banderas are apart of this project. check it out at Urban Outfitters site.